Quite har d! 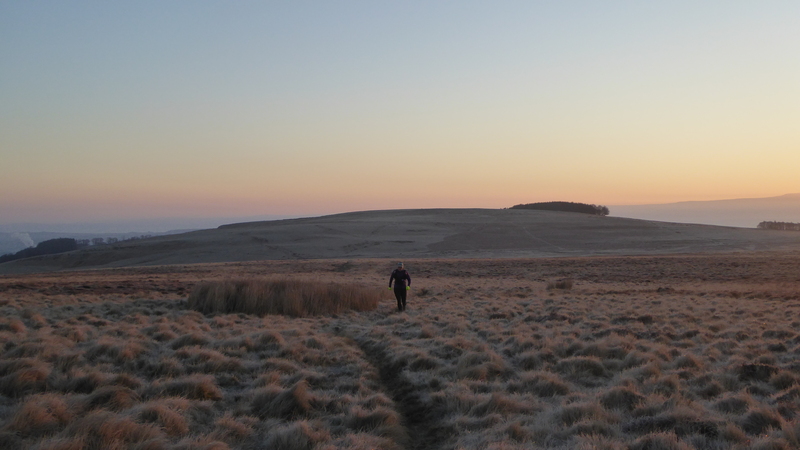 – Simon’s post race analysis made it 40.5 miles and 3000m ascent. The weather was great, dry and bright – would have been grim in the rain. 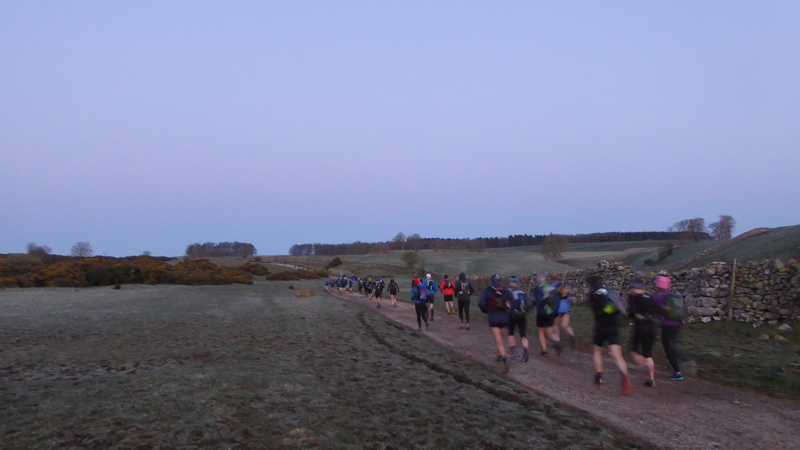 It was very cold and frosty to start with (breakfast was 4:45am) for the 6am start from Askham, but things warmed up fairly quickly in the morning. We returned in one piece – 12 hours 36 mins later. 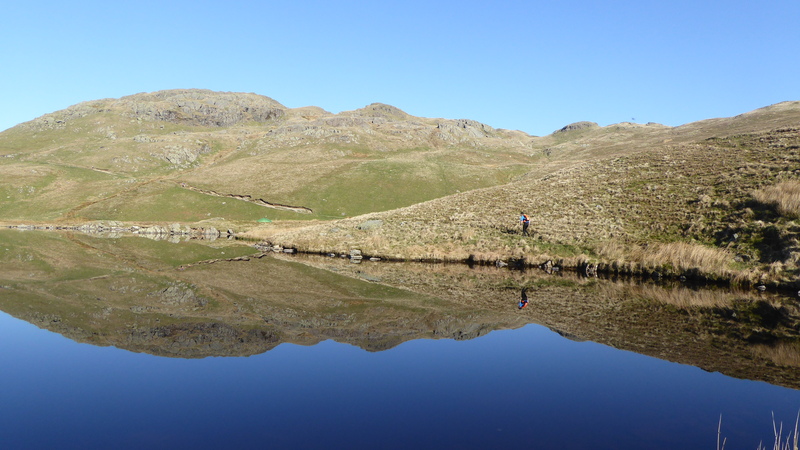 The low point for me was the ascent of Place fell (Helvellyn felt fine) – Simon thought the reverse. We were miles behind the winning time – around 7.5 hours. But a good few hours in front of the last finishers. Soup, a cup of tea and cake awaits you at the finish. We were too tired for a pub dinner so just had a bit of quiche and a few snacks before going to bed. It is a great low key annual event – with around 100 people taking part. Run by Nav4/Joe Faulkner. Supply your own map. No fixed route between checkpoints (which are old style orienteering clippers). 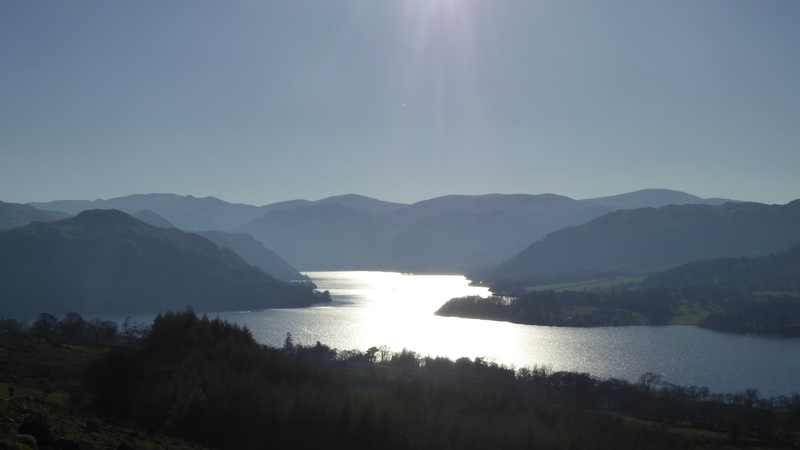 There were 3 snack and refreshment stops en route (each time you pass through Patterdale and on the road at Thirlmere). No cut offs – just need to back before last orders! After reading a report on Walkhighlands.co.uk (recommended for record keeping) about a Grey Corries traverse from Glen Nevis I was keen to repeat this as it seemed to describe a more interesting outing than the usual route. 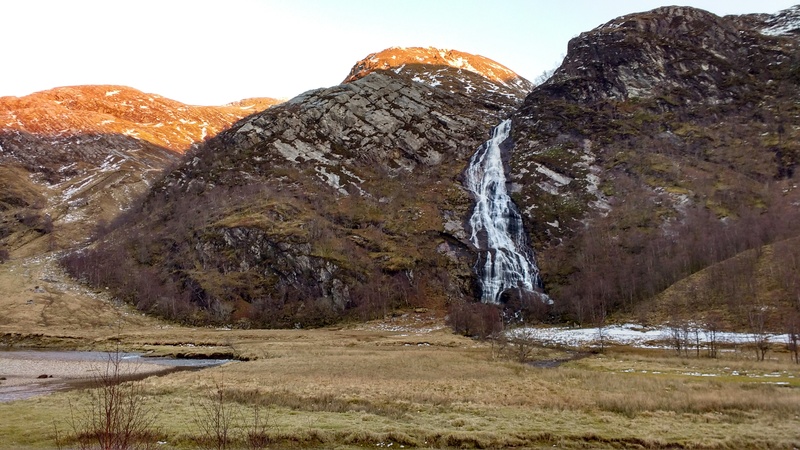 I left home at 7am (passing K on his way to work – SUCKER) and drove up to Kinlochleven, where I had unfinished business. I parked up at 2ish by the now defunct Hotel looking very sad and followed the track then path up the hillside towards Na Gruagaichean (1056m). Towards the top I left the path as it zagged away from the summit. A quick tick and I was back at the car just after 6, cup of tea and repacking my kit and on my way to Glen Nevis (via the excellent KLL chip shop). I arrived just about 8.30 at the car park and it was dark. A large team were heading upto the hut (complete with harnesses and slings for the bridge) and I chatted to a late-comer. I Packed my last bits into sac and set off into the dark by torchlight. 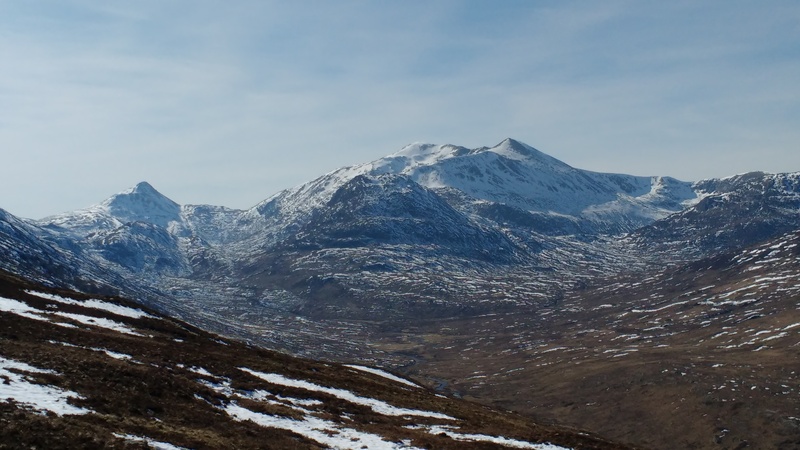 A lovely wander up Glen Nevis, not too cold and easy underfoot. Soon past Steal ruins I sort of lost the path (it gets vague!) but I knew roughly where I was heading, to find a campsite close to the river quite a way up the Glen. Suffice to say it took longer than expected (as I misread the trip report) and I put my tent up about 11. I'd chosen my site well though. 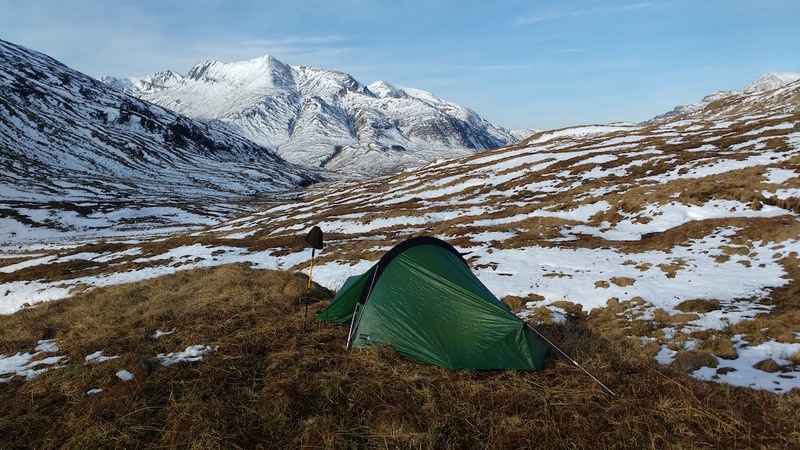 dropped down to Stob Ban (4th Munro mere 977) and then headed back along its ridge, taking a heathery route down to a river crossing, nice for the feet, and back along he Glen to my tent. I made a brew, set a timer for 25 mins and crashed out. Disappointed not to have taken any evening food with me, I packed up and headed down, staying close to the river (the split path a little easier to follow down here) and back to the car. 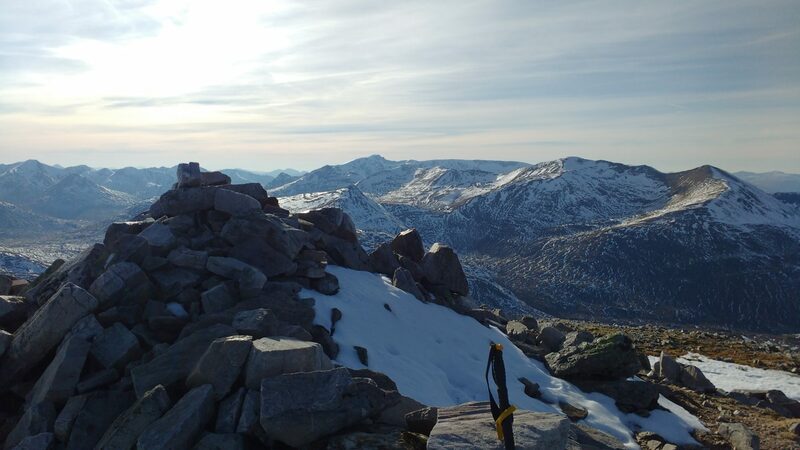 The Climbers Club has a hut in Roybridge, 13 miles north of Fort WIlliam and I headed there. A brilliant warm comfy 4 bedroom bungalow, empty! 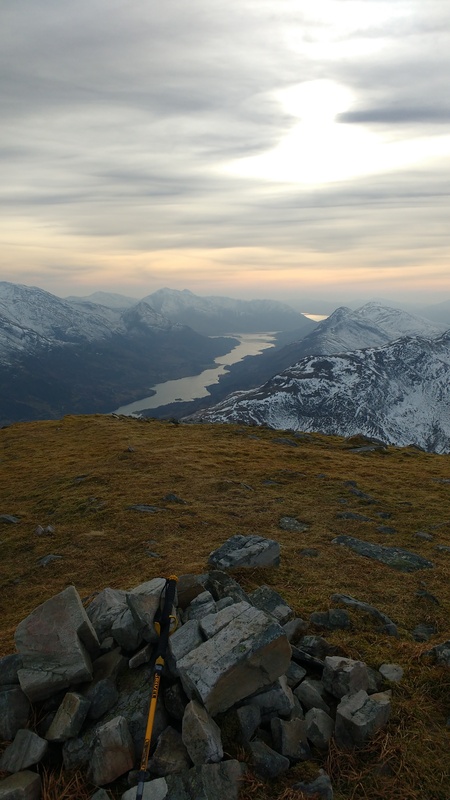 The other 4 guests arrived back shortly, 2 from the pub having just climbed Point 5 (not at all jealous) after a 3am start and 2 more been to Knoydart (1 hour drive) and 11 hours on the hills. 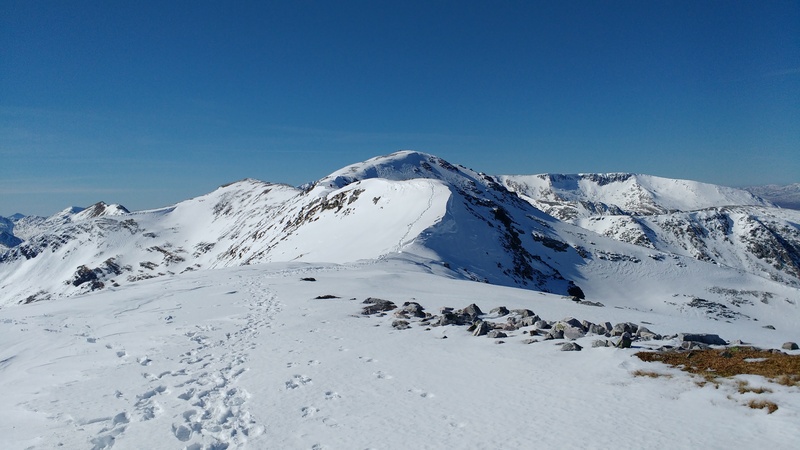 Next day I had a few blister issues (bit surprising) and slept in and chilled with another member (Colin) before setting off 12ish to get some suntan lotion and bag the Stob Coire Easain pair of Munros just along the road (Fersit). Another cracking day, saw a few people (and an eagle) but all of them coming home, not surprising when you don't set off till 1.30 BST! Kicking steps down a north facing slope for 10m provided a little bit of a distraction and a lovely walk out along the glen and an old tramway. Back at car for 7.30 was about right for the day. You are currently browsing the York Alpine Club Blog blog archives for April, 2017.